These words at the beginning of Lent invite us to take an inward journey during these 40 days to search our hearts as to where we stand with God and our neighbor and to enter more deeply into the Mystery of God’s love. Join us for a quiet day of prayer as we begin the sacred Lenten season. The atmosphere for the day will be reverent silence, which allows us to more deeply encounter God and be attuned to God’s promptings. It will begin with reflective input by Sister Bernie, followed by time for private prayer and reflection, lunch in silence, the option of walking the labyrinth or beautiful grounds, journaling or just relaxing with God. 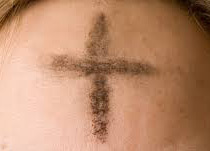 There will be an opportunity to attend Ash Wednesday liturgy with distribution of ashes, if you wish. The day will close with us coming together to name the blessings of the day and for a closing prayer. This is a day of silence. Sister Bernadette Claps, a Sister of Bon Secours, provides spiritual direction and spiritual companionship at the Retreat and Conference Center at Bon Secours. She holds graduate certificates in Spiritual Direction, Spirituality and Aging. She has done graduate studies in theology and received a Master of Social Work from New York University.